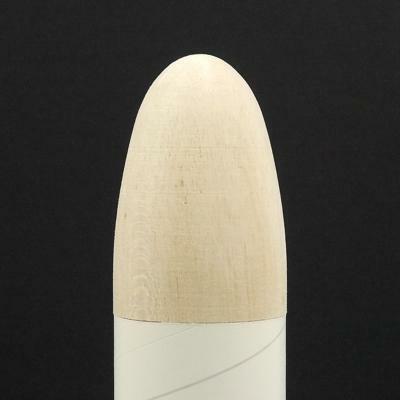 T - 80 Wood Nose Cone "S"
Currently out of stock, we expect to have back in Late October/Early November. T - 80 Wood Nose Cone "S" made from Balsa. Fits T-80 Tube. Cone is 3.5" long. Approximate weight 1.4 oz/39.5 gm. This cone has a hole bored into the base of the shoulder. Comes with a small dowel that you can glue into this hole. The dowel has a pre-drilled starter hole that you can glue a screw eye into.